Following the financial crisis of 2008, policymakers around the world have concentrated their efforts on designing a regulatory framework that increases the safety of individual institutions as well as the stability of the financial system as a whole. In this context, an important innovation has been the introduction of complex, model-based capital regulation that was meant to promote the adoption of stronger risk-management practices by financial intermediaries, and—ultimately—to increase the stability of the banking system. – Prior to the introduction of model-based regulation, the regulatory environment was considered too coarse, leading to excessive distortions in lending. – In contrast, regulation under Basel II relies on a complex array of risk models, designed and calibrated by banks themselves and subsequently approved by the supervisor. – By tying capital charges to actual asset risk, banks are no longer penalized for holding very safe assets on their balance sheets, so the distortion in the allocation of credit that accompanied the simple flat tax feature of Basel I is eliminated. 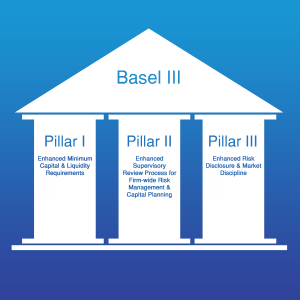 As a response to the financial crisis in 2007-2008, the Basel Committee has drafted a third revision of the regulatory framework for banks (Basel III). This framework continues to rely on model-based regulation, but further increases complexity to address substantial weaknesses of the old framework. While the measures might make sense individually, increases in complexity are unlikely to increase financial stability. Simpler and more transparent rules would be more effective in achieving the ultimate goal of financial stability.